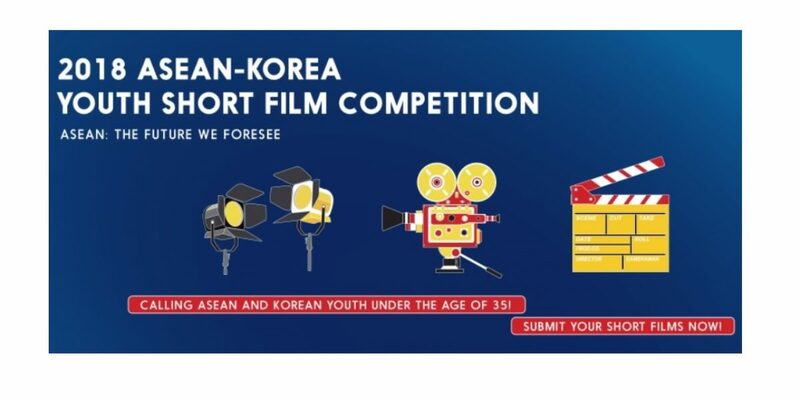 2018 ASEAN-Korea Youth Short Film Competition is now open for entries. The call is open for ASEAN and Korean youth under the ageof 35! Submit Your Short Films Now! Language – English is the main language. Languages in ASEAN and Korea may be used but English subtitles must be provided. Films publicly screened anywhere will not be accepted. Films made before November 2017 will not be accepted. Setting of the film must be in ASEAN or Korea. Films must be appropriate for all ages. Securing the copyrights of any material used in the film is the sole responsibility of the participants. If joining as a team, there should be at least 1 member from ASEAN or Korea. Film entry (in MP4). Upload the video on Youtube or Vimeo. Please make sure that it is set in private mode. Send the required forms, Youtube/Vimeo link, and film poster to [email protected] Put [Film Submission] in the subject line. Submission Period: 6 August to 6 October 2018. Notification of finalists: Finalists will be notified through email on 22 October 2018.